The level of security of such free VPNs is far from ideal. Some free VPN providers store user data for the purpose of further selling it to advertisers (like ISPs do). Slow server speed because they are overloaded with users. Limited number of facilities (lack of kill switch, split tunneling and so on). They can’t unblock services and addons. Nevertheless, there are still good free VPNs to use. Numerous streaming services block VPNs: both free and paid. And nowadays, it is an uphill struggle to find a free VPN provider that would work with services like Netflix, Hulu, HBO. Kodi is the way-out. Being an open source cross-platform media player, Kodi makes it possible to create your own library that would contain the best content. And there is no need to stream via blocked services. Having installed some additional Kodi addons, you’ll get access to the best services using only one application. There is no need to open numerous sites and apps, create usernames and passwords, pay for subscription. Kodi will do it instead of you (except payment for sure). Do I need VPN for Kodi? 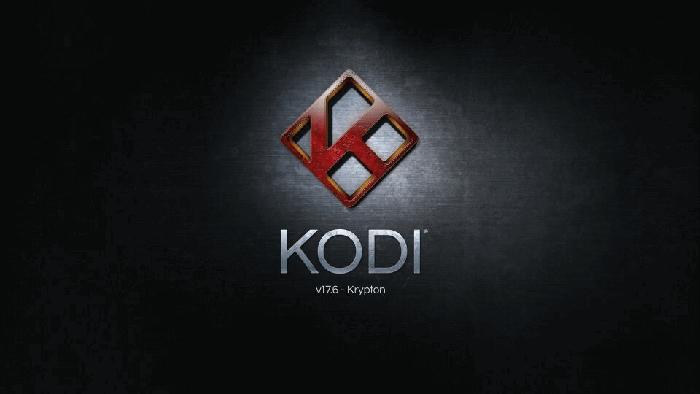 Kodi gained its popularity thanks to free access to streaming movies, music and so on. This access is not always legal. For example, Kodi is considered to be unlawful in the UK according to the “Copyright, Design and Patent Act” (1988). If a Kodi addon is blocked in your country, you need a VPN. The best free VPN for Kodi unblocks restricted for your region addons and gets access to sites you like. Unfortunately, we are not well-informed in the sphere of legislation. As a result, sometimes Kodi users stream pirated content without knowing it. In order not to be punished for such activity, it’s better to subscribe for a free VPN service. It will help to conceal your IP address. So, you won’t be subjected to illegal activity via your Kodi account. To cut a long story short, the combination of Kodi and a VPN is fantastic. 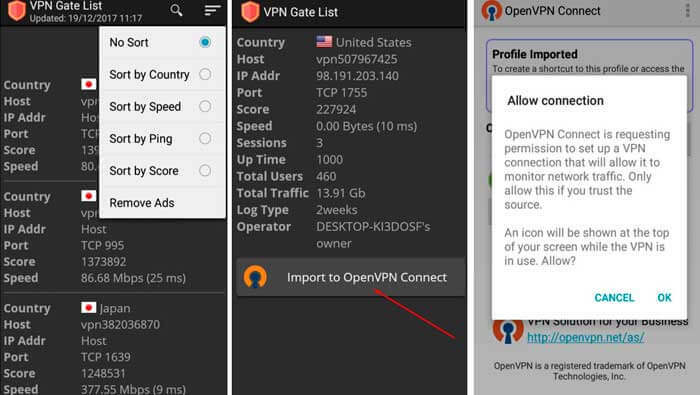 How to find the best free VPN for Kodi? 3 best Kodi VPN services are tested and described below. Don’t miss your chance to find out more about top VPN services for Kodi. 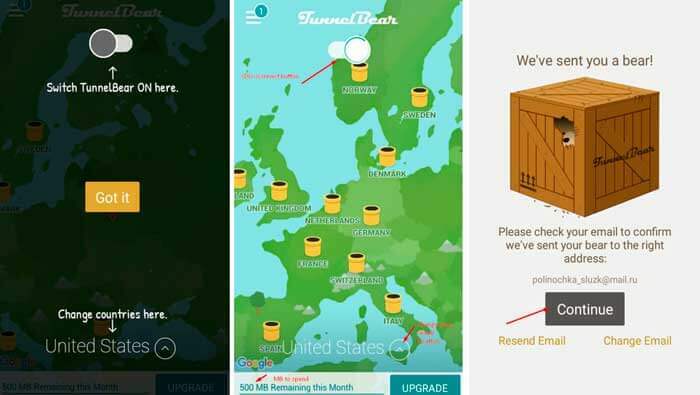 Tunnel Bear VPN is a free VPN service with the headquarters in Canada. Tunnel Bear is great for Kodi, as it is compatible with various operating systems: Android, iOS, Mac and Windows. What is more beneficial for Kodi streamers, is that this free VPN reduces the speed insignificantly. Having chosen the remotest server, the upload speed decreases by 25% only. It means that you may stream without significant buffers and lags. Thanks to AES 256-bit ciphering via IPsec/IKEv2 tunneling protocol, it will be 99% impossible to trace you. So you’ll be secure while streaming Kodi with a free TunnelBear VPN. Don’t miss the best part! TunnelBear VPN for Kodi doesn’t keep logs! While many other free VPNs do. VPN Gate is one of the relatively new and developing free VPN services. Having appeared as a Japanese project in the year of 2013, it became an ideal Kodi VPN. Thanks to unlimited bandwidth the VPN provider supplies its clients with, Kodi streaming becomes a real entertainment for the whole family. Server location diversity allows bypassing any possible restrictions and gives the access to all Kodi addons. 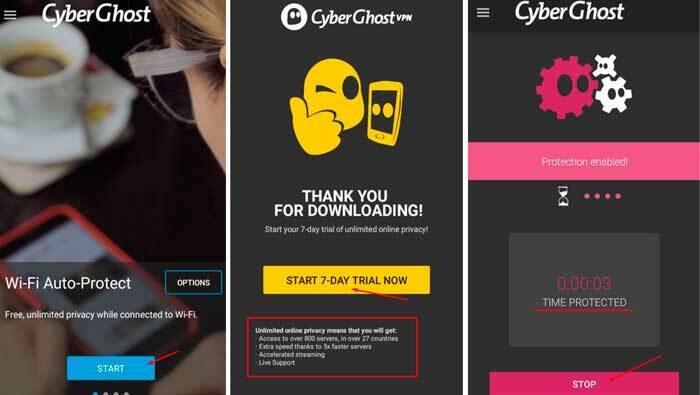 Do you know why CyberGhost VPN is great for Kodi? The service offers 50 server locations all over the world. automatic shutdown every 3 hours. However, such limitations aren’t significant for the successful Kodi functioning. Nowadays, people use free VPNs to both become protected on the net and access entertaining sites and services. Having become one of 38 million Kodi consumers, you’ll definitely want to experience the best streaming via various Kodi addons. But how to unblock them? Subscribe for the best VPN for Kodi and be convinced you’re using the most complete and diverse service.